Some of our recent projects are showcased below. Urban Earth developed a website for the Department of Energy’s Appliance Standards and Labelling Project in 2018. The purpose of the website was to educate consumers on the new minimum performance standards for energy efficient appliances and to encourage consumers to adopt more energy efficient appliances. Urban Earth also developed a mobile app which allows customers to calculate and compare the energy usage and carbon emissions from different appliances. Urban Earth facilitated a series of climate change adaptation workshops for local government officials on behalf of the Department of Environmental Affairs from 2016-18. The workshops were participatory in nature and officials were trained on how to identify their most critical climate change related risks and how to develop context specific climate change strategies. A user-friendly website was also developed by the Urban Earth team which served as a platform for the project tools and maps, including a user-friendly Vulnerability Assessment Tool. Urban Earth was contracted to develop a Climate Change Adaptation Training Program for Rural Development government officials in 2017. Urban Earth developed a training manual together with an interactive website and accompanying videos. 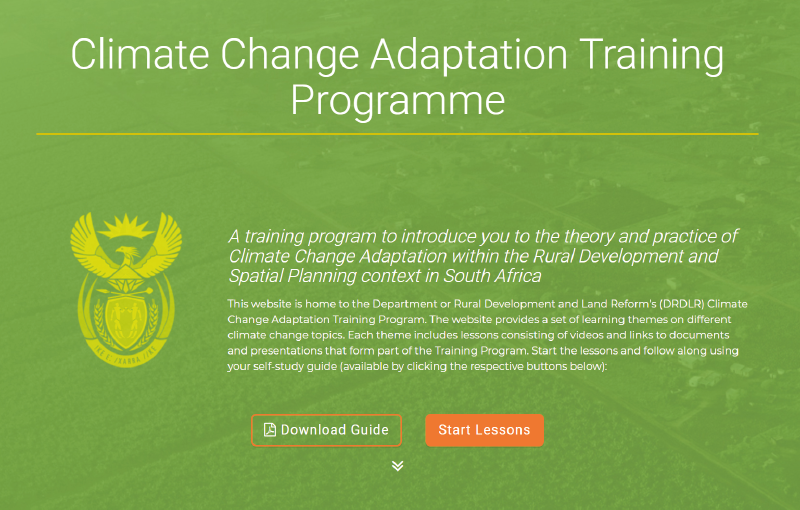 The e-learning website allows for officials to learn about climate change adaptation at their own pace and in their own time. Urban Earth was contracted by eThekwini Municipality to provide support to Durban’s internal 100RC Project Management Team, as part of Durban’s 100 Resilient Cities (100RC) Programme. The purpose of Durban’s 100RC Programme was the development of Durban’s Resilience Strategy. 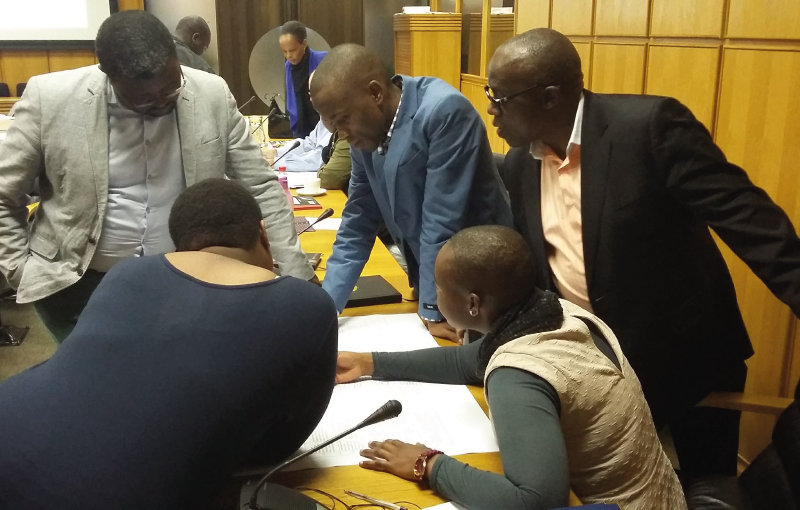 Urban Earth’s role was to assist in the investigating and researching of the two Resilience Building Options (RBOs) as well as to assist and support with stakeholder engagement and the drafting of Durban’s Resilience Strategy. 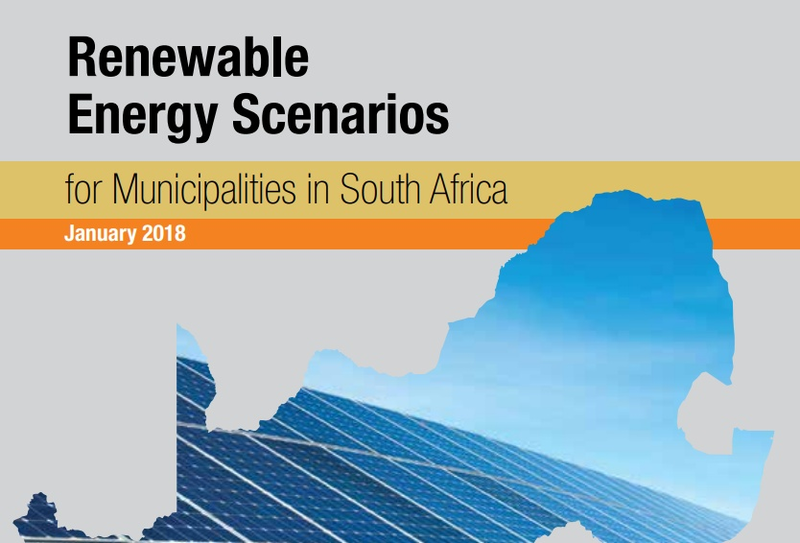 Urban Earth was contracted by GIZ to develop communication resources to assist municipalities in understanding opportunities and challenges in the renewable energy (RE) and energy efficiency (EE) space. Urban Earth’s role in the project was to write and design the booklets as well as to draft a summary of key issues in the electricity distribution sector in South Africa as a SALGA Energy Summit reference guide. Urban Earth was contracted by UNDP to develop and implement a climate change training course in Lesotho. The contract included an assessment of the technical capacity needs of the Socio-Economic Unit of the Ministry of Forestry Range and Soil Conservation(MFRSC) in Lesotho to mainstream climate risk considerations into the Land Rehabilitation Programme. Urban Earth then developed training materials to meet these capacity needs and conducted the training of the unit. The project ran from 10 Aug 2018 to 15 Nov 2018. 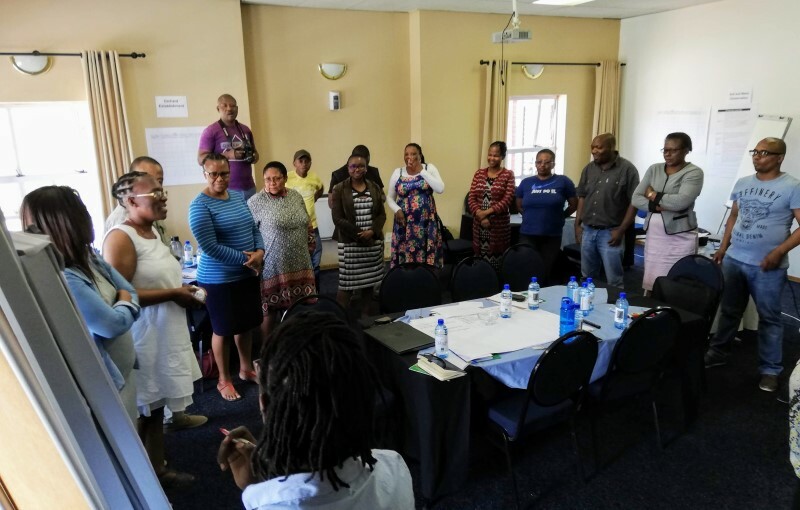 Urban Earth facilitated a series of climate change adaptation workshops for local government officials on behalf of the Department of Environmental Affairs from 2016-18. The workshops were participatory in nature and officials were trained on how to identify their most critical climate change related risks and how to develop context specific climate change strategies. A user friendly website was also developed by the Urban Earth team which served as a platform for the project tools and maps, including a user friendly Vulnerability Assessment Tool. Urban Earth was contracted by UNDP to assess the technical capacity needs of the Socio-Economic Lesotho MFRSC Unit to mainstream climate risk considerations into the Land Rehabilitation Programme as well as develop training materials and conduct the training of the unit. Urban Earth’s role was overall project lead and therefore to oversee the assessment and capacity building activities. The project ran from 10 Aug 2018 to 15 Nov 2018. Click here to view a full list of our projects.